San Diego, Calif., July 14th, 2016 – Genes in Space™ named Julian Rubinfien, a high school student from New York, the winner of the second annual Genes in Space™ competition. The innovative contest challenges students in grades seven through 12 to design an experiment to solve a real-life space exploration problem through DNA analysis. The winning experiment will be conducted aboard the International Space Station (ISS) using miniPCR™ technology. 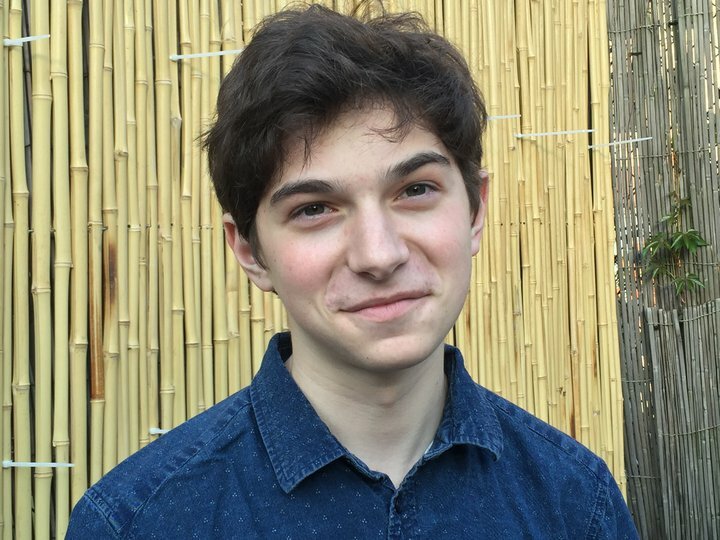 Rubinfien (15) aims to study genetic processes that may lead to accelerated aging in space. His experiment seeks to measure the length of telomeres, the chromosome end-caps that are shortened in premature aging. Rubinfien hypothesizes that the lengths of telomeres change during spaceflight and that these changes contribute to accelerated aging experienced by astronauts. His experiment uses a PCR-based assay and human organoids, a three-dimensional organ-bud grown in-vitro that shows realistic micro-anatomy, to measure telomeres on the ISS. Rubinfien’s winning experiment was presented at the ISS Research and Development Conference in San Diego, California. He was among five finalist teams who were invited to present their proposals before a prestigious panel of scientists, educators, and technologists. Rubinfien will have his experiment performed 250 miles above the Earth aboard the ISS and will be invited to watch the launch of his experiment into orbit. The five finalists were chosen from a competitive group of over 380 applications representing more than 900 students from across the country. The first Genes in Space™ experiment by 2015 winner Anna-Sophia Boguraev was performed aboard the ISS on April 19th, making it the first DNA amplification experiment ever conducted in space. This second Genes in Space™ competition serves to further engage a new generation of space biology explorers, building student affinity for science, technology, engineering, and math (STEM) fields. It will also continue to build genetic analysis capabilities aboard the ISS. The Genes in Space™ competition is supported by its partners Boeing, miniPCR™, the Center for the Advancement of Science in Space (CASIS), New England Biolabs®, Inc. (NEB®), and Math for America (MƒA). For more information about Genes in Space ™ and all its awardees, visit: www.genesinspace.org.